Writer/s: ROBINSON, SMOKEY/HOLLAND, BRIAN/HOLLAND, EDWARD, JR. Publisher: EMI Music Publishing, Warner/Chappell Music, Inc., Universal Music Publishing Group, Abkco Music, Inc. This was originally written by Sam Cooke as "Yeah Man" and released on Shake, his first posthumous album. Conley and Otis Redding updated it as a tribute to various Soul singers. 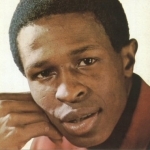 Arthur Conley died of cancer on November 17, 2003 in The Netherlands. He was 57.